At the recent Mobile World Congress, Orange partnered with KaiOS Technologies and UNISOC to launch a phone with voice recognition at $US20 in 16 countries in Africa and the Middle-East. The countries include Botswana, Burkina Faso, Cameroon, Central Africa Republic, Democratic Republic of Congo, Côte d’Ivoire, Egypt, Guinea Bissau, Guinea Conakry, Jordan, Liberia, Madagascar, Mali, Morocco, Sierra Leone and Tunisia. Sanza will be commercialised with a dedicated offer (voice/text/data) starting around $US20 (depending of the country), that will help customers to optimise their budget. 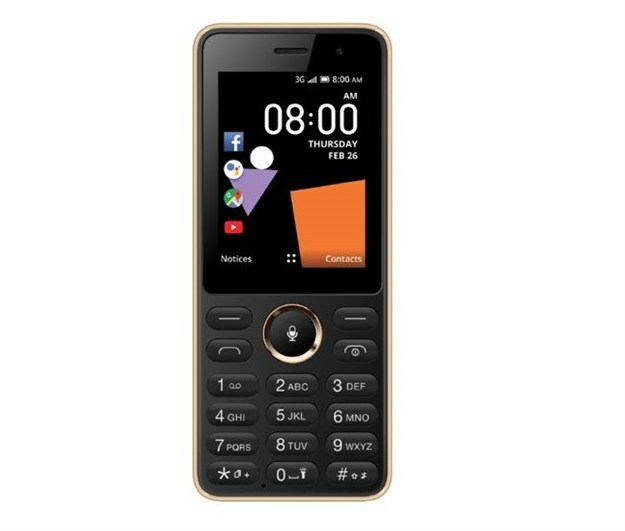 Sanza has the simplicity of a feature phone powered by the UNISOC SC7731EF chipset platform with a long-lasting battery life up to five days, 3G+, Torch, Wi-Fi and Bluetooth, combined with advanced smartphone-like functionalities. Alioune Ndiaye, CEO of Orange Middle East and Africa, says "Sanza is a concrete proof of the capacity of Orange to be a key player of digital inclusion in Africa and the Middle-East. With its access to internet with the voice and its attractive price around US$20, I have the conviction that this 3G phone and soon 4G, is a powerful lever to develop the access to internet for all in Africa”. “Our mission is to help close the digital divide by bringing mobile connectivity to the billions of people without internet in emerging markets, as well as providing those in established markets with an alternative to smartphones. The Sanza by Orange marks an important milestone in fulfilling this mission, as its bound to be successful in Africa with its attractive price point, great features, and the strong presence of Orange in the region.” says Sebastien Codeville, CEO of KaiOS Technologies.